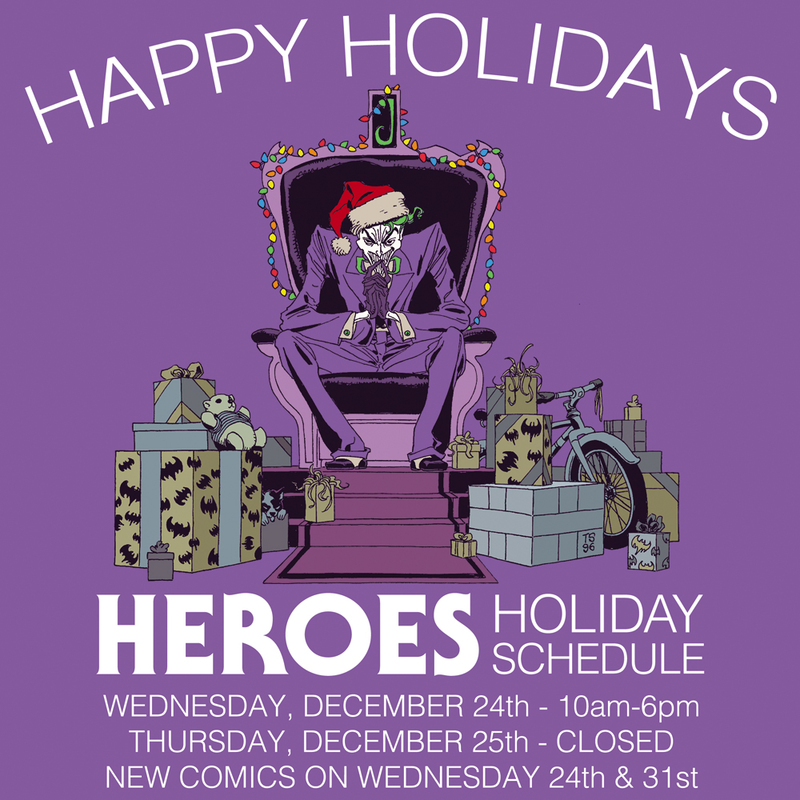 Happy Holidays from your friends at Heroes Aren’t Hard To Find! 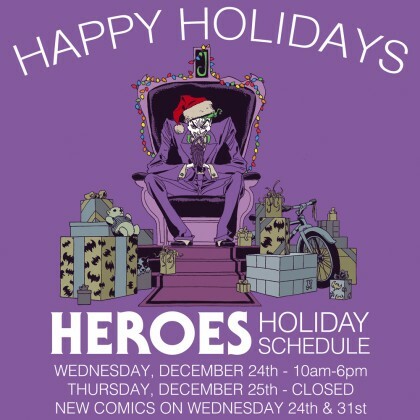 Heroes is a great place to find a unique last-minute gift and also a great place to spend the ten dollar bill your Auntie sent you after all the family fun is finished. New Releases will be here as usual on Wednesday the 24th and the 31st during the Holidays. Wednesday, December 24th we will be open until at least 6PM, if you need can’t make it by then and need something urgently give us a call and we’ll see if we can stay open for you. ← HOLIDAY SALE :: THIS WEEKEND! !